It’s time for my long promised second vegan granola recipe (Don’t miss out on Part 1!) Today’s recipe (inspired by Alissa Cohen’s granola in Raw Food for Everyone) is a less traditional granola, because it is not only vegan but also raw. For more information on raw foods and their health benefits, check out my post on the Go Raw L.I.F.E. Center. If you have not sprouted before, don’t be intimidated. Sprouting really only involves 2 steps (1) soaking and (2) rinsing. Measure out the buckwheat and submerge it in water. Soak the buckwheat overnight or for a minimum of 8 hours. Move the buckwheat to a strainer and cover the strainer with a cloth. Rinse the buckwheat twice a day until it sprouts. You will know when sprouting occurs, because small tails begin to grow from the seeds (see below!). If you want to make the sprouting process easier, special sprouting cups are available. They help streamline the sprouting process and free up counter space! I personally like the Easy Sprout Sprouter. Once my buckwheat has sprouted, I spread it out on a tray and dehydrate it for 8 hours. Sprouted buckwheat stores well in a sealed airtight container. I always make extra, so I don’t have to wait before I can make a recipe. Now it’s time to assemble the raw vegan granola’s other ingredients. Measure them out and throw them in a bowl. The wet ingredients go into the food processor. Combine the wet and dry ingredients, and you are almost done! Place the granola on a dehydrator tray. And after 12 hours in the dehydrator, you will have some lovely looking and tasting raw vegan granola. I like to eat mine with coconut milk or mix some into my oatmeal in the mornings. 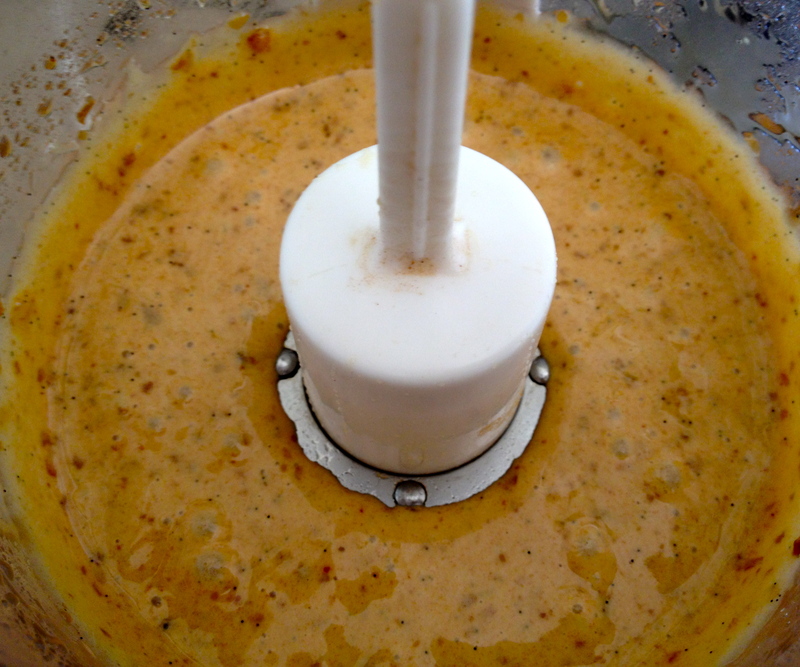 Place agave, dates, salt, and vanilla bean into the food processor and pulse until mixture is creamy and smooth. Combine the wet mixture and the oats, pecans, coconut, dried fruit, and sprouted buckwheat in a bowl. Break granola into pieces and store in airtight container.